Nipsey Hussle's legacy will be cemented in U.S. history forever. Congressmember Karen Bass revealed that she'll be entering the late rapper's contributions to his community in the Congressional Records. 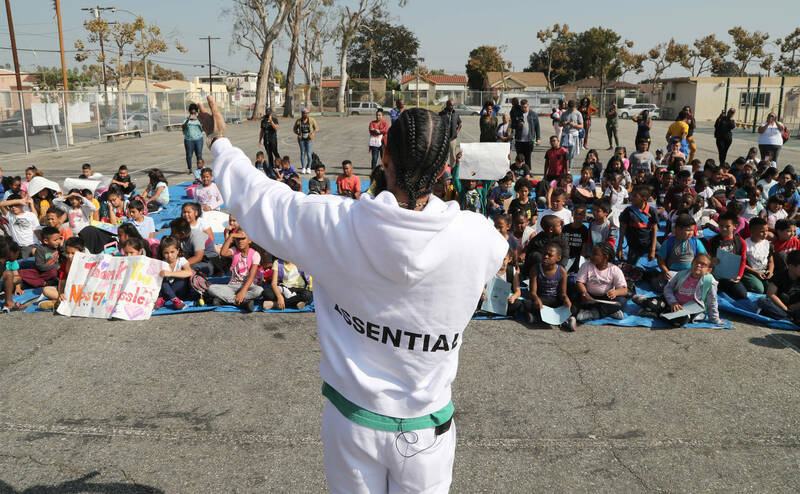 As you know, Nipsey wasn't only a rapper, but an entrepreneur that worked heavily in his community to help employ locals and give back in any way that he could. "I will be heading to the House Floor next week to formally enter Nipsey Hussle’s contributions to South Los Angeles into the Congressional Record where it will be a part of United States history forever," Bass wrote on Twitter. Karen Bass represents Nipsey's district. She spoke to ABC News and said that he's someone that'll forever be remembered in his community as not only an entrepreneur but also as "someone who selflessly gave back and invested and enriched and cared." After Nip's death, the LAPD commissioner revealed on Twitter that the rapper and representatives from Roc Nation were going to meet with the police force to discuss ways to end gang violence.